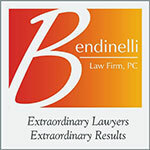 You’re Not Just Another Case at Bendinelli Law Firm. Our Attorneys Will Never Sacrifice Your Best Interests for a Quick Settlement. Call 1-800-ATTORNEY Today for Your Free Consultation. A catastrophic injury can change your life forever, bringing uncertainty about the future to you and your loved ones. Luckily, one of Colorado’s stellar personal injury law firms is on standby to make sure that you get the justice and compensation that you deserve. Whether you were hurt in a car or truck accident, as the result of medical malpractice, or due to a work injury, we’re here to help every step of the way. 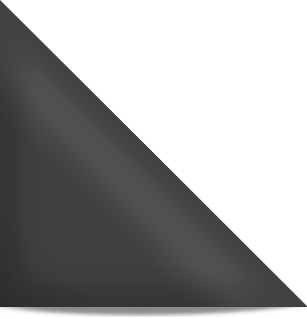 Bendinelli Law Firm was founded on the values of practicing law with excellence as well as offering an exceptional level of customer service and a commitment to the needs of our clients. We have a dedicated team of seven attorneys who specialize in these cases on an individual or collaborative level to make sure that you get the results that you deserve. We understand that insurance companies may be out to blame you for your injuries just so they can reduce their payout to you, and that’s why we ask you to call and speak with us before attempting to negotiate with any of them. In addition, there are many questions regarding your future expenses as well as the relationship between you and your defendant’s insurance policy that you may not fully comprehend. A study done by the Insurance Research Council found that individuals who reached out to a personal injury law firm were able to increase their average payout by up to five times compared to those who attempt to settle the case on their own. In addition, claimants who hired a lawyer were able to recover three times more money than those who didn’t, even after legal fees. Mr. Marco F. Bendinelli, Esq. It is Mr. Bendinelli’s mission to make sure every case that comes into his law firm is handled with the utmost importance and the attention that it deserves. Our team of litigators, investigators and paralegals genuinely care about you and your individual claim. Mr. Bendinelli has extensive experience and has tried cases across the country, from Miami to Los Angeles. He is a well-known and respected member of the legal community in Colorado, and is very active with the Colorado Trial Lawyers Association. Outside of work, Mr. Bendinelli is an avid motorcyclist, loves to travel, and also happens to be an accomplished musician. For more information about Bendinelli Law Firm, we invite you to visit our website at https://personalinjurylawfirmdenver.com/. If you’ve been injured through someone else’s negligence, you need the services of an aggressive personal injury law firm with a history of consistent success. You need Bendinelli Law Firm. Call us today for your free (and confidential) consultation, toll-free, at 1-800-ATTORNEY.